To play great tennis, you have to have proper footwork: small steps, the ability to change direction quickly, and being on balance while moving forward, backward and sideways. Unfortunately, most tennis players do not pay enough attention to footwork. They might go for a run, but long distance running will not improve the footwork. Sometimes you may not have access to a larger space for practicing footwork, and here a jump rope will come handy. 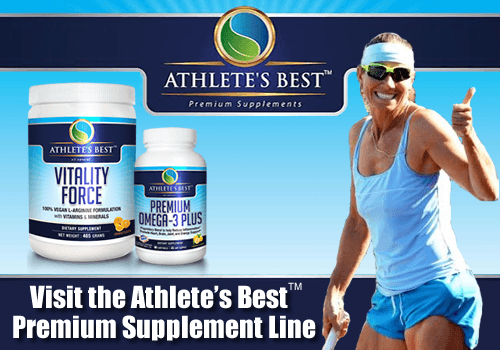 A simple and inexpensive too that has many benefits for your tennis fitness, footwork and agility. Improve your balance, coordination, speed, quickness, power, and overall conditioning. Condition the calves and feet for moving around the tennis court on your toes. Condition the lower legs and decrease the risk of injuries. Improve your muscular power and explosiveness. Strengthen the muscles in the hip that stabilize the pelvis, which are the muscles necessary for stroke execution. Condition your forearms, shoulders and the entire core. Train your muscle memory to be on the toes all the time, which is a good habit to take over to the tennis court. Improve your mental toughness, because it is definitely tough when you start your jump rope practice. Playing tennis puts quite a lot stress on your knees, ankles, and lower back, especially if you are playing on hard court surfaces. So adding another intense activity with your jump rope can add even more stress on your joints. You should try to jump rope on softer surfaces, such as grass, clay, or indoor flooring. Reference to this article about musculoskeletal imbalances. If you have never jumped rope before, it will be challenging and maybe even frustrating initially. Be patient and keep jumping. Even a little bit is better than stopping. With some time and practice you will become a jump rope pro (hmmm, or close to a pro :-) ) and reap the benefits. This is when you start having a lot of fun with your jump rope! Once you get proficient you can create different routines with the above mentioned jumps and it will be super fun, while improving your endurance, agility and coordination. You will be so good that you will be jumping 20 minutes non-stop without even getting tired. What a great goal! 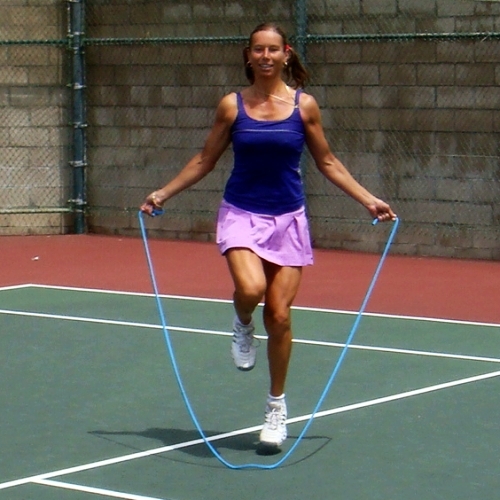 Jump rope regularly and see how your tennis fitness and tennis game will improve! 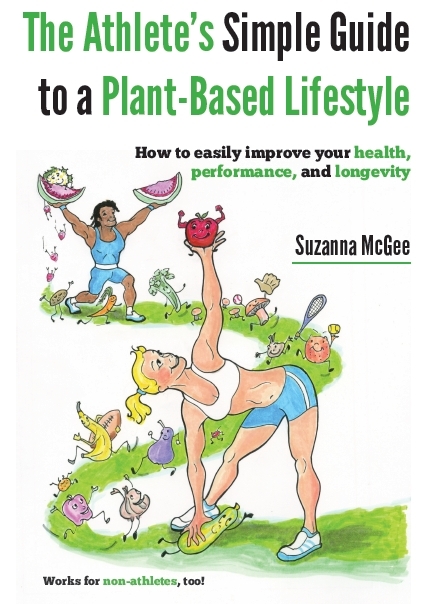 Do you need more ideas how to get fitter for tennis? 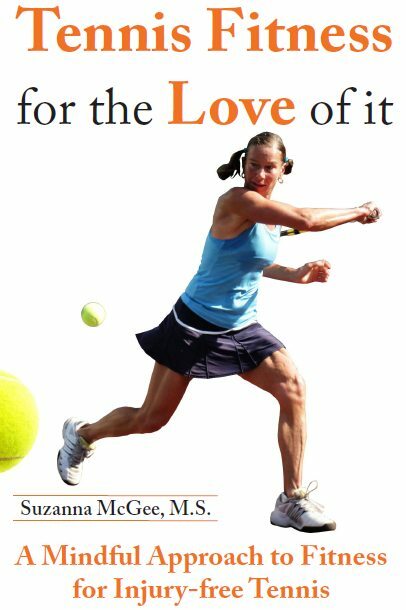 Read in “Tennis Fitness for the Love it” and you will get there sooner than you imagine. How do you work on your fitness? What are your weaknesses and strengths? Share in the comments below.